Purpose: To provide the Dean with additional resources to insure continued excellence in education and research. Purpose: To provide computers, software, and other materials, equipment, programs, services, facilities or stipends needed to enhance student learning. Purpose: To provide the Medical Center with additional resources to ensure continued excellence in continuing medical education programs. Purpose: To provide additional resources to ensure continued excellence in patient care, education, and research. Purpose: To provide additional resources to insure continued excellence in graduate medical education programs, facilities and services. Purpose: To create an everlasting fund to support an endowed chair in the Department of Anesthesiology. 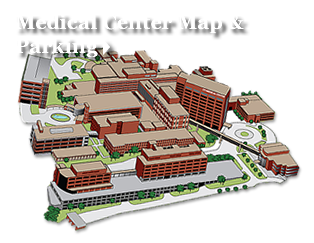 Purpose: To provide additional resources that will ensure the departments ability to fulfill the mission of UT Medical Center by promoting excellence in patient care, medical education, and research. Purpose: To provide the Chairman and faculty with additional resources to ensure continued excellence in patient care, education, and research. Purpose: To provide the Department of Anesthesiology with additional resources to ensure continued excellence in anesthesiology research. Purpose: To provide students with additional resources to ensure continued excellence in patient care, education, and research. Purpose: To provide excellence in education for Department of Anesthesia residents, students and SRNAs. Purpose: To provide the Director, faculty and residents with additional resources to insure continued excellence in programs of patient care, education and research. Purpose: To provide additional resources to ensure continued excellence in the General Dentistry Residency Program in the Graduate School of Medicine at the University of Tennessee Medical Center. In addition Delta Dental hopes their gifts will encourage former residents, the dental community, vendors and other friends to support the needs of the residents enrolled in the General Dentistry Residency Program. Purpose: To sponsor guest faculty for continuing education in the Department of General Dentistry every second year. Purpose: To create an everlasting fund to support an endowed chair in the Department of Medicine. Purpose: To promote excellence in the Department of Medicines academic program. Purpose: To promote excellence in research and educational endeavors in Cardiology. Purpose: To provide the Chairman, faculty, and residents with additional resources to ensure continued excellence in programs of patient care, education, and research. Purpose: To support an annual lectureship or educational program in the field of medicine at The University of Tennessee Medical Center at Knoxville. Purpose: To advance pulmonary practice, research and educational endeavors at the UT Graduate School of Medicine. Purpose: To provide the Chairman, faculty and residents with additional resources to insure continued excellence in programs of patient care, education and research. Purpose: To create everlasting fund to support an endowed chair in the Department of Obstetrics & Gynecology. Purpose: To create an endowed chair in the Department of Oral and Maxillofacial Surgery so as to create everlasting financial support to the department. Purpose: To support a biennial endowed lecture in the Department of Oral and Maxillofacial Surgery in memory of Dr. R. Ben Alley, a former faculty member. Purpose: To provide an ongoing biennial endowed lecture for residents, dentists, physicians and other health care professionals throughout East Tennessee, in memory of Dr. John E. Sullivan, the former chairman of the Department of Oral and Maxillofacial Surgery. Purpose: To support the campaign initiative to endow the Medical Simulation Center. Purpose: To create an everlasting fund to support an endowed chair in the Department of Pathology. Purpose: To provide the chair, faculty and residents with additional resources to ensure continued excellence in departmental programs of patient care, education and research. Purpose: To promote an enriched laboratory work environment through support of continuing education for employees. Purpose: To provide additional funds for enhancing the UT School of Medical Technology Program. Purpose: To support resident education and research in the Department of Pathology. Purpose: To create the Health Information Library within the new Heart Hospital providing accurate and reliable health information to patients and their families in addition aiding physicians and other healthcare professionals in their information needs. Purpose: To provide the library with additional resources to ensure continued excellence in meeting the Greater East Tennessee Regional's health care information needs. Purpose: To provide the Radiology Department leadership and employees with additional resources to insure continued excellence in patient care, education and research. Purpose: To create an everlasting fund to support an endowed chair in the Department of Radiology. Purpose: To promote excellence in the radiology residency program. Purpose: To provide the Chairman, faculty and residents with additional resources to insure continued excellence in departmental programs of patient care, education and research. Purpose: To provide education, training and research of imaging technicians and other medical personnel with special emphasis on those in PET and related modalities. Purpose: To support the Graduate School of Medicine's mission of excellence in patient care, education and research. Purpose: To provide the Department of Anesthesiology with additional resources to ensure continued excellence in research. Purpose: To provide support for oncology and cardiology research. Purpose: To provide support for research, patient care and medical instruction with priorities given in the area of human chemistry and chemical imbalance of the connective tissues, especially as it relates to arthritic conditions. Purpose: To provide support for the educational and research mission of the UT Graduate School of Medicine. Purpose: To create an everlasting fund to support an endowed chair in the Department of Surgery. Purpose: To ensure continued excellence in care, education, and research in the endovascular specialty through the advancement of academic study, research and patient care. Purpose: To provide support for the medical education of residents, physicians, and other health care professionals throughout East Tennessee. Purpose: To provide support for resident research and education. Purpose: To provide the Chairman, Division Chief, and faculty with additional resources to insure continued excellence in programs of patient care, education, and research. Purpose: To provide a stipend to the medical explorations students to insure continued excellence in high school and undergraduate medical education programs, education and research. Purpose: To provide the Department of Surgery with additional resources to insure continued excellence in vascular research. Purpose: To provide the Chairman and faculty with additional resources to insure continued excellence in programs of patient care, education, and research. Purpose: To provide the medical center with additional resources to ensure continued excellence in surgical oncology patient care, education and research. Purpose: To provide staff with additional resources to meet patient and program needs. The first priority of this fund will be to meet patient needs. Expenditures for education or other program needs can be made provided that adequate resources are available in the fund. Purpose: To provide additional resources to strengthen the Trauma Prevention Program at UT Medical Center. Purpose: To provide the Chairman, Division Chief, and faculty with additional resources to insure continued excellence in programs of patient care, education and research. Purpose: to provide support to attract outstanding scholars and medical leaders to lecture and stimulate continued learning among resident surgeons, faculty and community physicians.